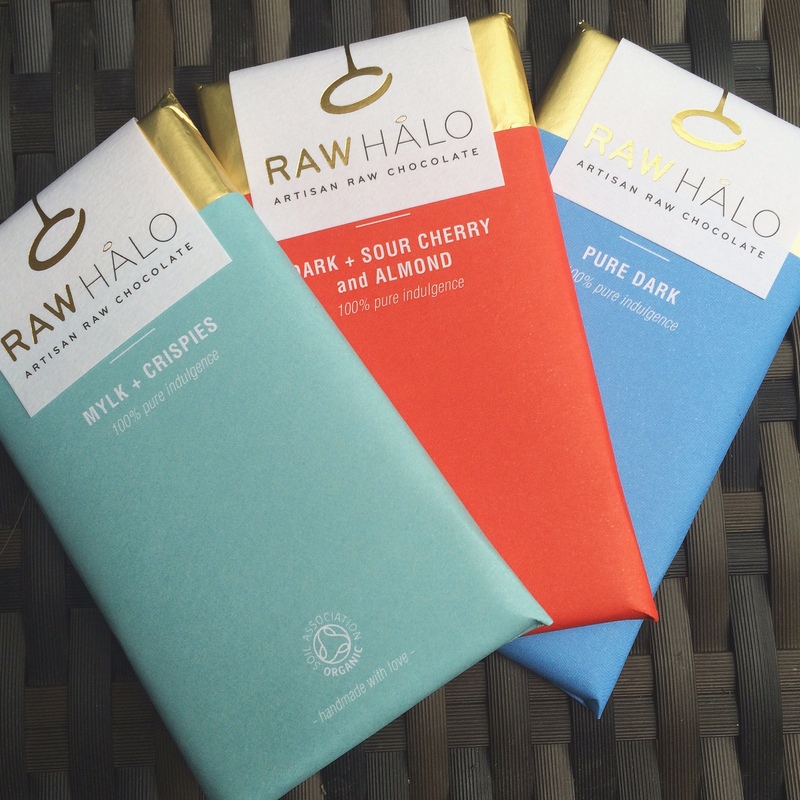 I’ve been dying to tell you all about these delicious raw chocolate bars from Raw Halo. I was lucky enough to be sent three beautifully presented little bars: Pure Dark, Mylk + Crispies and Dark + Sour Cherry and Almond. First off they are so wonderfully packaged – they look beautiful and like a real luxury treat – which I love! The design is so lovely – modern, classy and yet still indulgent. They are hand wrapped and feel that way – I feel a little like Charlie unwrapping his Wonka bar and finding a golden ticket when I open them! 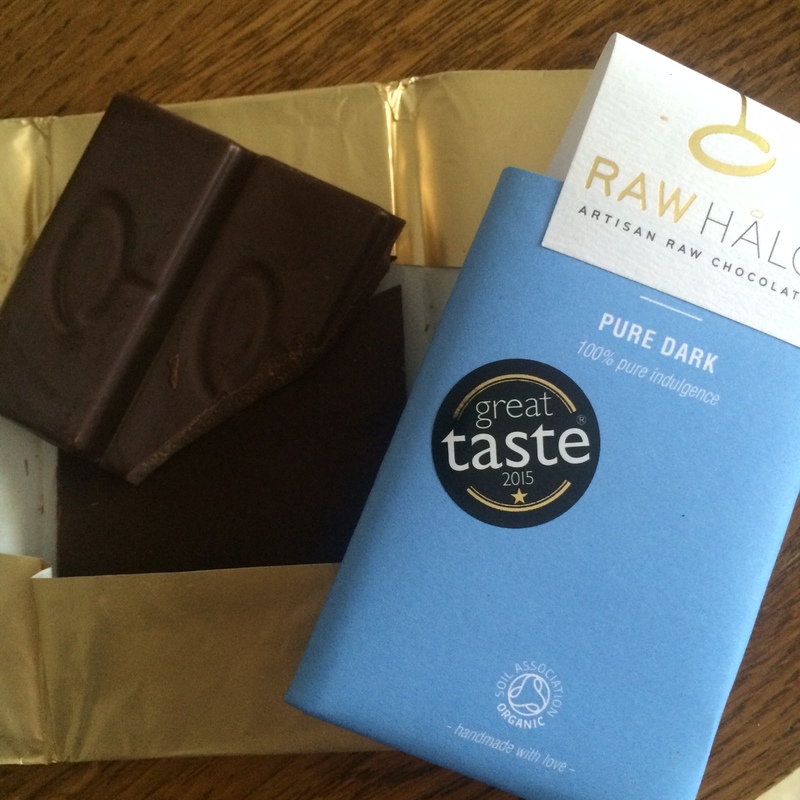 I tried the Pure Dark first – this was silky smooth and lovely and thin. It had a really intense flavour. It’s nutty and slightly fruity and just a little bit bitter. A really lovely texture too – melts in the mouth, just like you want chocolate to. The Mylk + crispies bar was next. 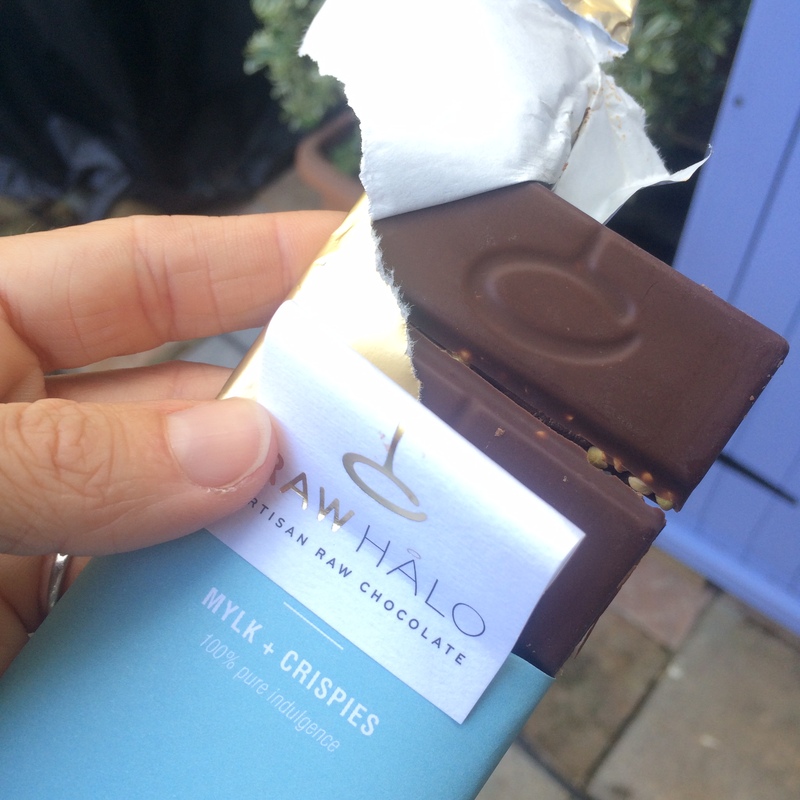 It has half the amount of sugar compared to other raw chocolate bars which is great! And is sweetened with coconut sugar and lucuma. This one is totally dairy free yet still so creamy. The cripsies are buckwheat and add a really lovely crunch to the bar. Again this is really smooth and thin and melts in your mouth. Super yummy! Even better if dunked in a cup of tea (very quickly!!). I really enjoyed all of these bars and can’t wait to try the rest of their range – which sound amazing (see them all here). I love that they are raw and vegan (apart from their Mylk + Salted Caramel flavour), they’re gluten-free, GM free and lactose free. They feel like such a treat and would make a perfect gift for someone. It’s so hard to find raw chocolates presented in such a beautiful way and with christmas on the horizon I’ll certainly be ordering some of these as gifts for friends and family. 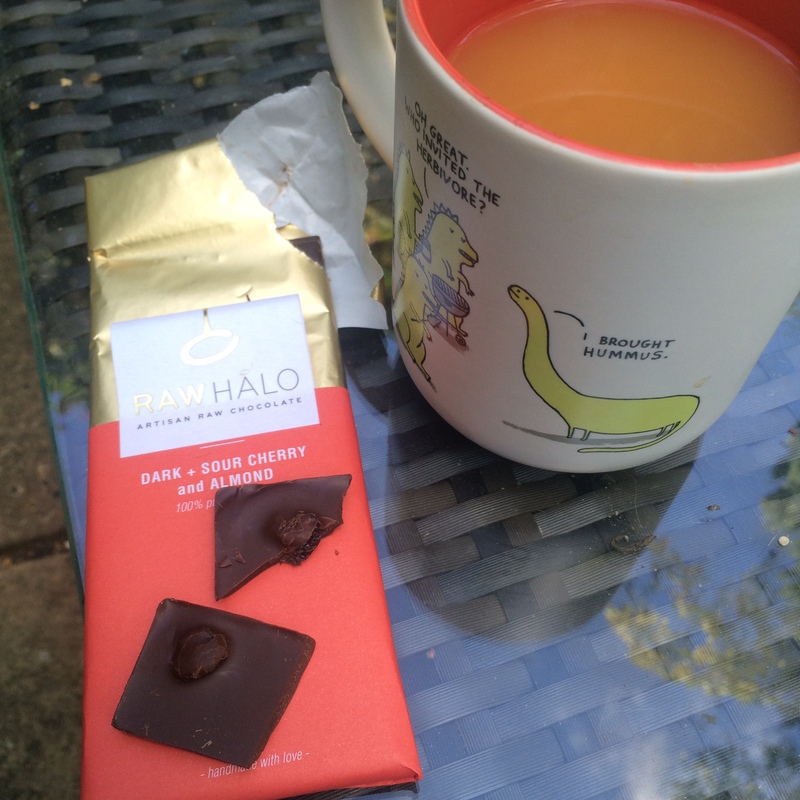 This entry was posted in review and tagged chocolate, gluten free, product review, raw chocolate, raw eating, vegan, vegan chocolate, what vegans eat by Dr Nancy P. Bookmark the permalink.